Following its announcement at Light + Building and in time for the summer season, LEDVANCE, the leading LED lighting company, is launching new Smart+ products for the Apple HomeKit and for Smart Home systems that use ZigBee Lightlink. LEDVANCE is the first lighting provider to offer dimmable filament lamps for the Apple HomeKit. Another newcomer to this portfolio is the LED flex strip for outdoors. For ZigBee-based Smart Home systems, LEDVANCE is expanding its portfolio with a smart socket and two luminaires for outdoor applications. The products for the Apple HomeKit can be voice controlled via Siri, whereas Amazon’s Alexa is used for the ZigBee products. After launching the Classic A lamp and a flexible lighting strip for indoors in the fall of 2017, LEDVANCE will be expanding its portfolio for the Apple HomeKit from June with three filament lamps. 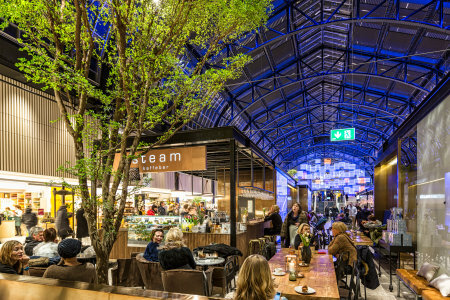 Completely new to the market are the infinitely dimmable LED filament lamps, the brightness of which can now also be set individually via voice control using Siri, giving users even more lighting design freedom. The Classic, Globe and Edison lamp models with their LED filaments and their classic bulb shapes add a warm retro charm to any living room. Via Bluetooth the lamps can be directly integrated into the Apple HomeKit system using an iPhone or iPad, and main functions such as switching on and off and dimming can be used – without an additional gateway. The new models are replacing classic 60 watt lamps with E27 bases. Garden and balcony lovers in particular can look forward to a new multi-color outdoor flex strip added to the Smart+ range for the Apple HomeKit, which is expected to be available from July. Thanks to IP65 protection, the outdoor flex strip is resistant to water and dust. To create an individual summer atmosphere for barbecues, parties or for relaxing in the evening, the LED flex strip offers a choice of approximately 16 million colors. Just like the LED lamps, the LED lighting strip can be incorporated in the app via Bluetooth in next to no time and can be controlled by an app or Siri voice command. Along with the new Apple HomeKit-enabled products there will also be a new addition to the LEDVANCE Smart+ portfolio for ZigBee-based Smart Home systems: the smart Outdoor Plug which has been available since February. Thanks to IP44 protection, the smart socket is extremely robust and resistant to water and dust. The plug can now also be controlled remotely by non-smart devices such as chains of light via an app, Smart+ switch or – when used in combination with Amazon systems such as the Amazon Echo Plus – by voice command. This makes it possible to easily operate a conventional lawn sprinkler on the go or from the sofa via an app or Alexa. Available since April, the new Smart+ outdoor luminaires from LEDVANCE promise decorative garden lighting with intelligent control options by voice command or an app. The Outdoor Lantern and Outdoor Lantern Modern Wall models are either mounted on walls or on a solid surface and have approximately 16 million colors and Tunable White functionality. Thanks to their flexible light color options, they can be used both as standard lighting in garage drives and house entrance areas and as mood and party lighting in the garden, on the balcony or on the terrace. All the Smart+ products are characterized by long life and immediately create a more comfortable living environment thanks to their diverse features and characteristics. Official partner systems for the ZigBee Smart+ offering in Europe currently include Amazon – particularly with its Amazon Echo Plus which eliminates the need for an additional gateway thanks to its integrated ZigBee functionality – Samsung SmartThings (available in the UK) and Qivicon (found in Telekom Magenta Smart, Vattenfall Smart and EinfachSmart). The plan for the near future is to form further partnerships, continuously improving the compatibility of the products. With offices in more than 50 countries and business activities in more than 140 countries, LEDVANCE is one of the world's leading general lighting providers for professional users and end consumers. The management board consists of Dr. Jacob Tarn, Chairman of the Management Board and Chief Executive Officer (CEO), Tim Yun Chen, Chief Financial Officer (CFO) and Erol Kirilmaz, Chief Sales & Marketing Officer (CSMO). 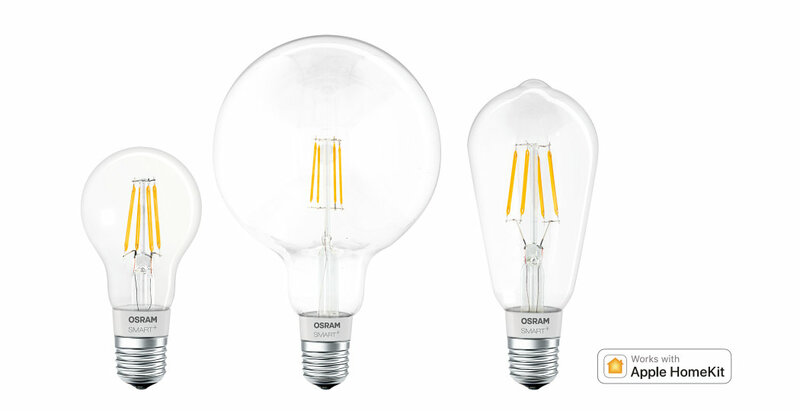 Having emerged from the general lighting business of OSRAM GmbH, LEDVANCE offers a wide-ranging assortment of LED luminaires for a broad spectrum of application areas, intelligent lighting products for Smart Homes and Buildings, one of the largest LED lamps portfolios in the industry, and traditional light sources. Since April 2018, the leading Chinese LED lighting company MLS is the sole owner of LEDVANCE. In March 2017, LEDVANCE was acquired by a consortium, consisting of MLS and the investment firms IDG Capital and Yiwu. In fiscal year 2017, LEDVANCE achieved a turnover of around 1.9 billion Euro. Based on an agreement with OSRAM, LEDVANCE will continue to use the trusted OSRAM brand for many of its products (SYLVANIA for the USA and Canada). Further information can be found at www.ledvance.com.